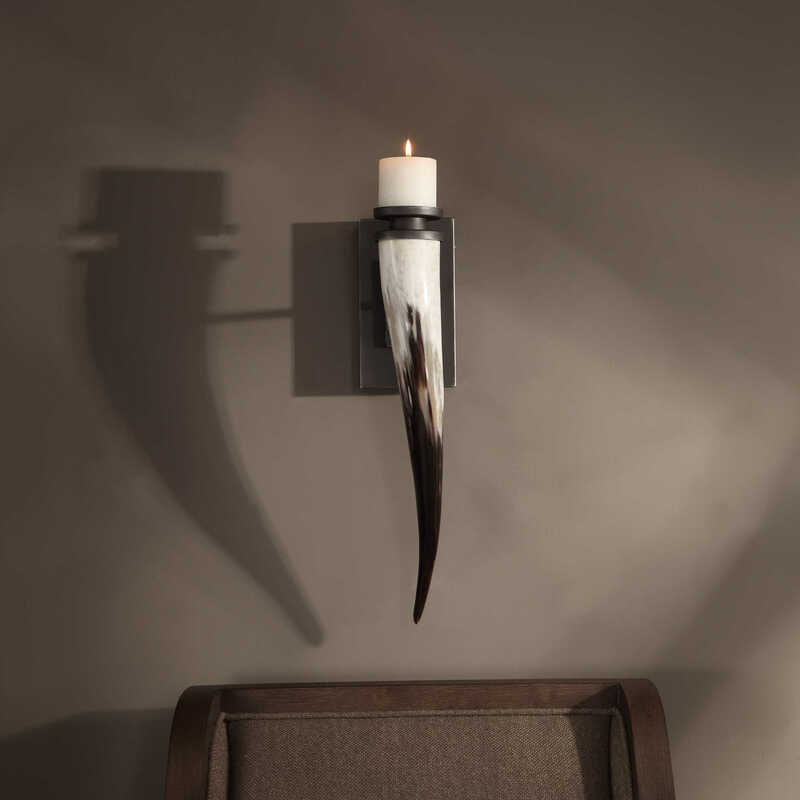 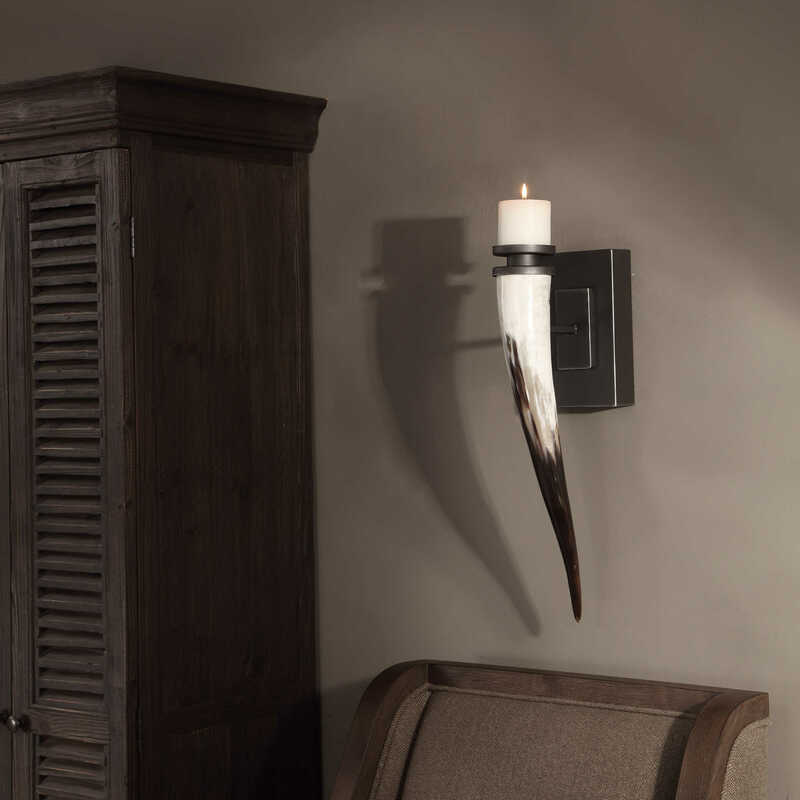 Featuring a naturally shed African yellow cattle horn, mounted on a blackened iron plaque with subtle silver highlights. 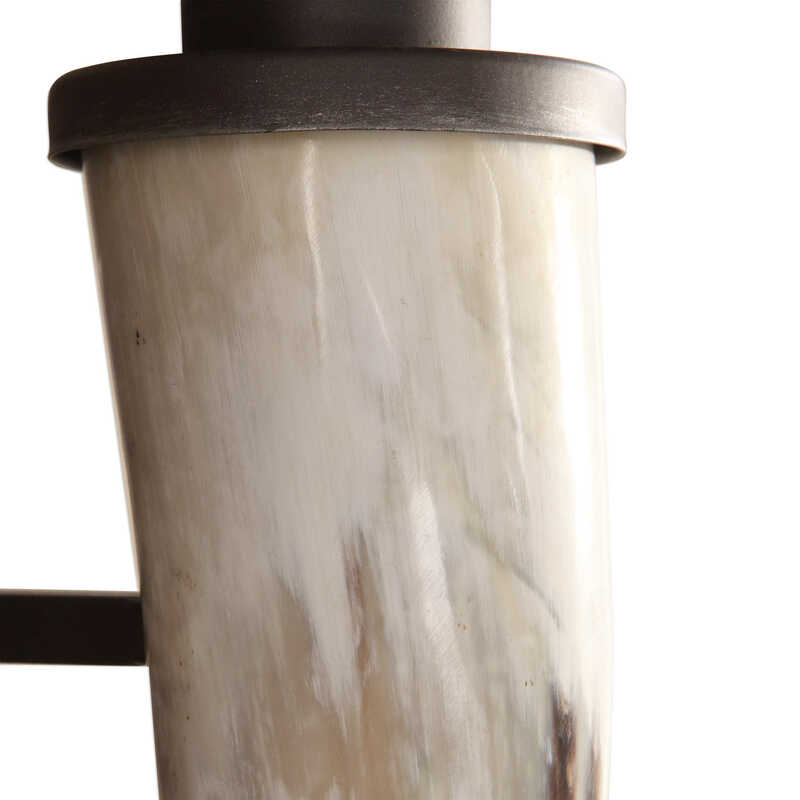 Due to the natural material, each piece will vary slightly in color and size. 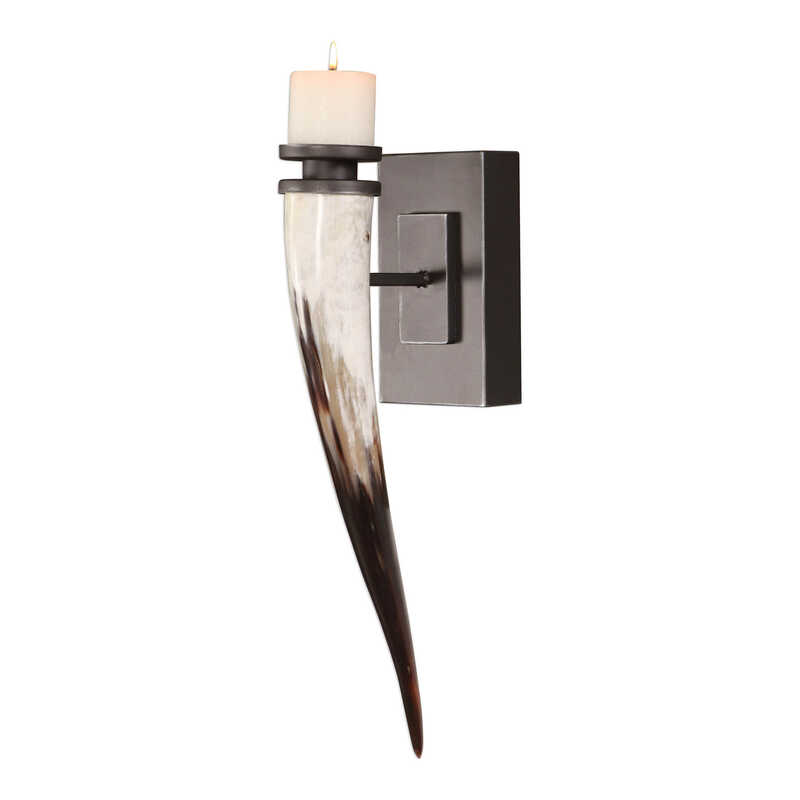 Includes one 3" x 3" distressed off-white candle.